The host Dulles Sportsplex Aegean Hawks were eliminated from the 2014 USASA Region I Amateur Cup in the Quarterfinal round in penalties (3:4) by Vereinigung Erzgebirge (E-PA) after both teams finished regular and AET even at 3-3. 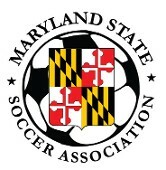 The match was played at the Maryland Soccerplex on a blustery day with a strong headwind that created advantages for both teams. In the first half, the wind was in Hawks favor. Hawks started off strong and had several solid scoring chances, but VE got a goal against the run of play off a diagonal long ball to a streaking forward in the box who calmly held off his defender and squirted the ball past onrushing GK Eric Valladares. Momentum swung back to VE for a spell after the goal before the Hawks grabbed momentum again with several opportunities that rang the post. Gui Fonseca collected a ball 5 yards from the top of the box and blasted a shot that nicked the outside of the right post. The VE GK made several solid saves off long range shots from Hawks towards the end of the first half. Close to halftime whistle, The Hawks Titou Fierro's freekick narrowly missed and whisked the left post on another close call. Hawks down 1-0 at half. The Hawks are still alive in Region I Open Cup action and will take on the Maryland Bays as the visiting team on Sunday, May 4th.